When you want to shed a few pounds, your first instinct might be to cut way back on food to the point where you're starving — but that's not necessarily the best tactic to lose weight quickly. Rather than focusing on counting calories or jumping into a very-low-calorie diet that can make you feel hungry — and cranky — all the time, it makes more sense to focus on eating foods and drinking beverages that suppress your appetite. Keep in mind that when you lose weight quickly, it's not all body fat that's lost. However, a little bit of weight loss can help you feel and look leaner. A 2014 meta-analysis published in Obesity Reviews looked at whether ketogenic diets, commonly referred to as "keto," suppress appetite. 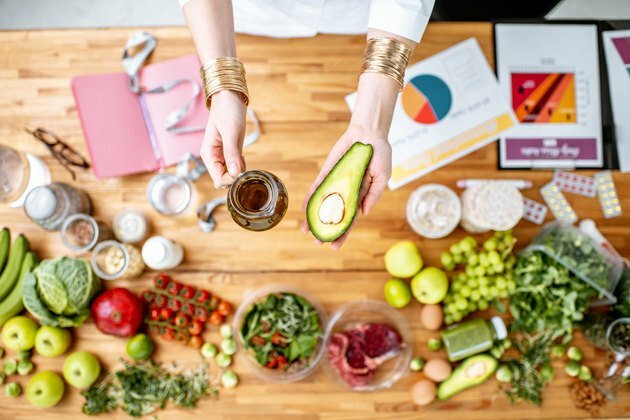 A ketogenic diet is a high-fat, moderate protein and low-carbohydrate eating plan that that aims to switch your body from burning the glucose from carbohydrates to burning ketones from fat. When this happens, according to the Cleveland Clinic, your body's metabolism speeds up and your hunger decreases. But the keto diet isn't for everyone nor is it necessarily sustainable for the long-term. There isn't enough research to determine yet if it's a safe eating plan to follow for a significant amount of time. However, it can give your body a boost and suppress your appetite in an effort to lose weight quickly in the short-term. 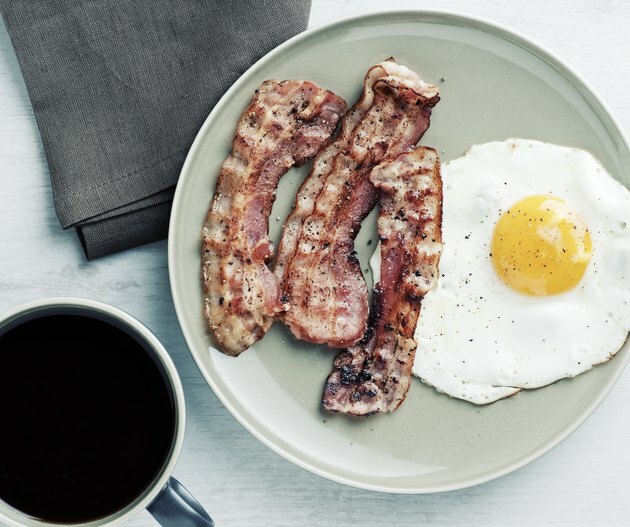 As part of the ketogenic diet, eat a daily breakfast that's high in protein. Aim for at least 30 grams, which is the level that was shown to have a beneficial effect on appetite control, according to a 2015 study published in Nutrition Journal. Although fruit is often part of a healthy breakfast, it's not ideal if you're trying to lose weight quickly. It provides a good amount of fiber, vitamins and minerals, but it's high in sugar. Don't cut out fruit for the long-term — that won't do your health any favors — but you can cut back on it for a short period of time when you're trying to lose weight quickly. A 2012 study published in the Journal of Clinical and Diagnostic Research established a link between drinking 1.5 liters of water a day and decrease body weight, body mass index and body composition in overweight participants. Additionally, a 2016 review published in Frontiers in Nutrition found evidence that increased hydration leads to weight loss, mostly because those who drink more water eat less food. Additionally, when you drink more water, you often drink fewer types of other beverages that may be high in calories and sugar, such as soda or juice. Try drinking a half liter of water 30 minutes before a meal. While there's a commonly cited idea that a person should drink eight 8-ounce glasses of water a day — equal to about two liters — the truth is that the amount of water that's necessary differs from person to person. For example, people who exercise more need more water than those who are sedentary, due to lost hydration through sweat. Keep an eye out for signs of dehydration, including thirst, dark-colored urine, feeling tired, lack of concentration or headaches. If you're feeling any of these symptoms, increase the amount of water you drink each day. Although certain types of alcohol have health benefits, such as red wine's impact on the risk of heart disease, you should avoid alcohol when you're trying to lose weight quickly. The calories in alcohol are considered "empty," meaning that they don't provide any nutrients such as vitamins, minerals, protein or fat. On top of the alcohol calories, mixers such as soda or juice are typically high in sugar and calories, too. And although it might be fun to get a little tipsy with friends, the alcohol lowers your inhibitions — and that means you're more likely to gorge on happy hour nachos than go home for a sensible salad. Diet has the biggest impact on weight loss, but exercise plays a role, too. When you want to lose weight quickly, the best physical activity habit you can build is incorporating resistance training. A 2015 study published in Research Quarterly for Exercise and Sport showed that resistance training increased excess post-exercise oxygen consumption (EPOC) to a greater degree than steady-state aerobic exercise such as cycling or running. That's a fancy way of saying your body burns more calories after a workout because of increased metabolism, according to the American Council on Exercise. 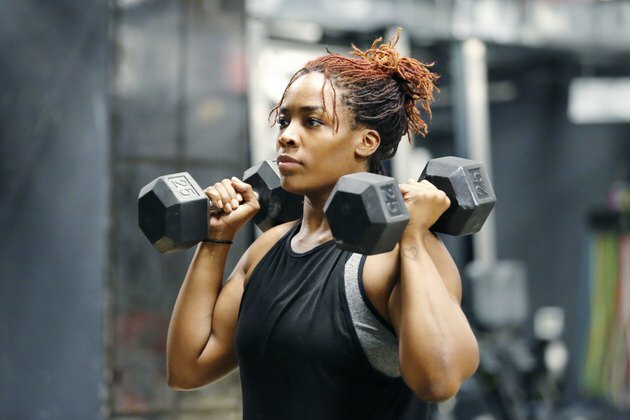 In addition to increasing EPOC, lifting weights three to four times a week will add muscle mass to your frame, which will go a long way in helping you look and feel leaner as you lose weight quickly. That same study from Research Quarterly for Exercise and Sport determined that high-intensity interval (HIIT) training also increased EPOC more than steady-state cardio. As the name indicates, this form of exercise is much more intense than regular jogging, swimming or cycling. First, you warm up, and then you start exercising at an intense level, such as running sprints or turning up the level on a stair climbing machine, for anywhere between 30 seconds to 3 minutes. Follow that by slowing down, like going back to a walk, for the same length of time or longer. The goal is to alternate getting your heart rate up quickly and bringing it back down. This form of interval training has one major benefit: It doesn't take as much time as steady-state cardio. Typically, you do anywhere between four to eight intervals before calling it quits, which usually amounts to just 20 to 30 minutes of exercise. Being active and eating well are both important to weight loss, but the time you spend sleeping matters, too, for a variety of reasons. Research published in 2013 in the Proceedings of the National Academy of Sciences found insufficient sleep affected the hormones that regular hunger (ghrelin and leptin), which can cause you to eat more while you're awake. Additionally, constantly feeling sleepy wreaks havoc on your motivation — after all, who wants to hit the gym when you'd rather take a nap? And cooking a healthy dinner might seem like an impossible task compared to ordering takeout when you're tired. The National Sleep Foundation recommends that adults get between seven and nine hours of sleep a night, though individual needs might vary. Get into a routine that includes turning electronics off, having a bedtime ritual and staying away from caffeine later in the day.